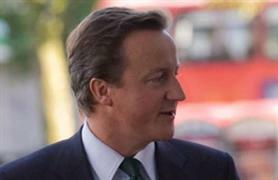 Prime minister David Cameron has lent his support to Britain for Events in a letter to Nick de Bois MP. 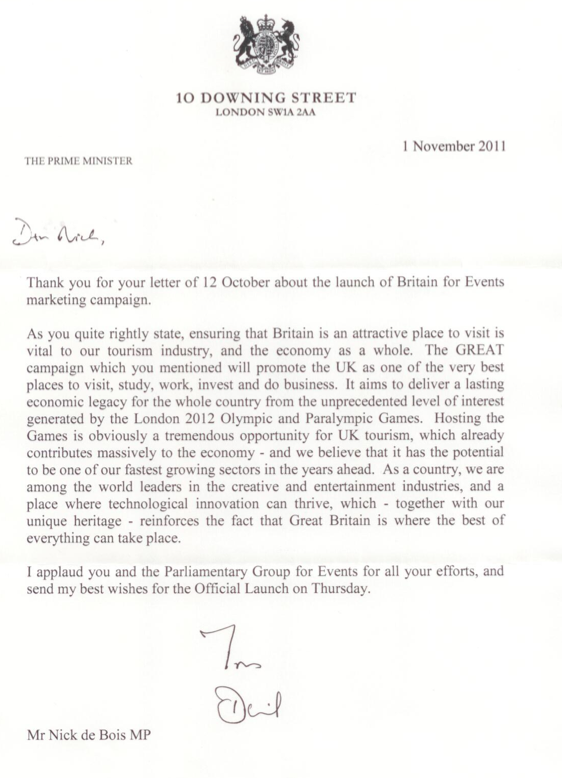 The letter, sent following Britain For Events’ event at The Deck, London, was received this morning by de Bois. It stresses the importance of the Olympic Games in boosting the events industry. "The Great campaign which you [Nick de Bois] mentioned will promote the UK as one of the very best places to visit, study, work, invest and do business. It aims to deliver a lasting economic legacy for the whole country from the unprecedented level of interest generated by the London 2012 and Paralympic Games," it reads. Cameron’s letter comes on the same day that culture Jeremy Hunt announced a further £27m funding for Visit Britain over the next four years – part of the Great campaign launched by Cameron in September. The funding will be used by the national tourism agency to capitalise on the global attention the UK will receive in 2012 because of events such as the Olympics and the Queen’s Diamond Jubilee. It is in addition to the £100m marketing campaign run by Visit Britain and comes just over a year after the organisation learned its budget would e cut 34% by 2014/15, taking it from £28.8m to £21.2m.